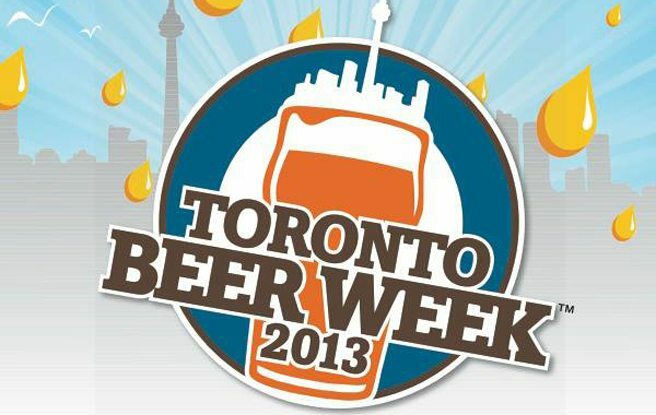 Man, even though my Toronto Beer Week ended a bit early and I didn’t go to nearly as many events as some people did, I find myself still wiped out a week later. For those not involved, Toronto Beer Week is similar along the lines of Canadian Music Week, Fashion Week or the little known but no less important Llama Enthusiast Week. Many bars, breweries and beer groups put on some really fun events for the week in an effort to raise the awareness of local craft beer as well as showcase a sense of community and some incredible beers. And it really does do that. Most events were practically a who’s who of the Ontario beer industry and the beers, a combination of one-offs and staples from well over 31 breweries, were pouring freely. Homebrewers tap takeover? Yep. All-ladies dessert and beer pairing? Yep. Wonderful award show? Well, of course. Great Lakes Brewery Canadian Brewery of the Year Party: Held at The Loose Moose with an astonishing 20 taps, this was definitely a highlight party that gave me the chance to try a few Great Lakes beers I’ve never had before as well as FINALLY meeting the wonderful Renee from Great Lakes. The Golden Tap Awards: What a frenzy that was. Held at Beer Bistro, the evening at the Golden Tap Awards was spent sampling some of Ontario’s finest and trying to move in the crowd of people. Was really a treat to finally meet The Beer Gypsy and see all the wonderful movers and shakers throughout the industry. Congrats to all the winners! Canadian Beer News/Rhino screening of Beer Hunter: This event is what capped off my Toronto Beer Week experience and was such a wonderful end to it. The screening, introduced by Canadian Beer News‘ Greg Clow and author/columnist/dapper gent Stephen Beaumont, was a lovely snapshot of the life of celebrated beer writer Michael Jackson. The evening also featured wonderful food, special one-off beers made just for the event and a signing of Stephen Beaumont and Timm Webb’s latest book The Pocket Beer Guide, which I happily purchased and look forward to consulting on my travels. I have to say, this event did a wonderful job of invigorating my passion for beer. Truly unforgettable. Afterwards I went on a long walk down Queen Street West and was practically glowing. I’m a bit embarrassed to admit that that was all I ended up going to for the week, but there you have it. Also, a final special thanks to The Only Cafe for being my hiding place. Actually, that’s not true. Another post will be popping up this week and next week is promising to have some fun stuff up soon, including a guest post. Previous Post Wait, Summer is OVER?